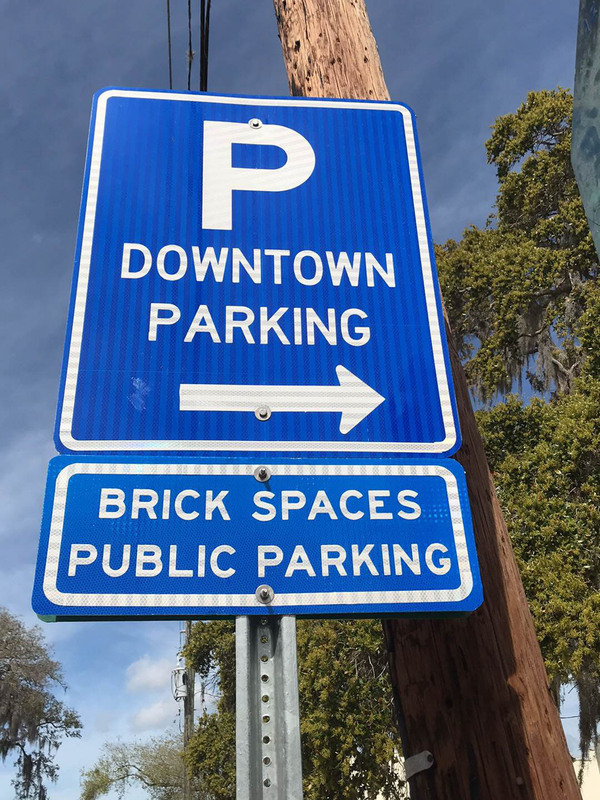 Home / Government • Latest Stories • Local News • Showcase • Spotlight • Trending Stories / Is there a parking problem in downtown Safety Harbor? Is there a parking problem in downtown Safety Harbor? Parking in downtown Safety Harbor has been a hot-button topic for years, and city officials recently approved an in-house parking study to determine what needs to be done to address the issue. Mention the subject of parking in downtown Safety Harbor and you’re likely to get one of two responses: there isn’t any, or there’s plenty. While some residents, visitors and city officials have decried a lack of public parking spots, and lots, in the downtown district, others have pointed to the abundance of on-street parking in city’s core, and still others have touted the area’s walkability as a key aspect for a community that prides itself on its small-town charm. No matter which side of the parking debate you reside on, one thing pretty much everyone agrees on is there is a need for additional public parking downtown, due to the impending influx of new businesses and residents in the area combined with the city’s extensive special events calendar. 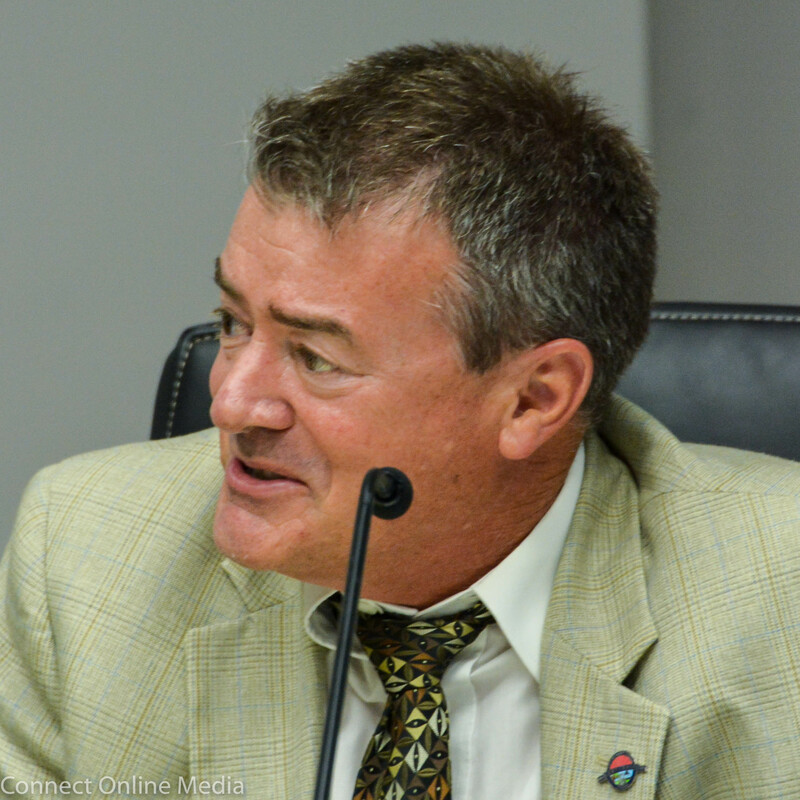 As a result, the Safety Harbor City Commission recently okayed an in-house study that will utilize an online survey plus collected parking data to determine what course of action, needs to be taken. “When the P&Z board was asked to look into small-town charm and what is it and how can we better preserve it, we included a parking study in our recommendations,” Planning and Zoning board member Ell Crandall explained during the commission meeting on Monday, Mar. 16. She stressed the list was comprised of general examples and brainstorms and not to be considered a final proposal. “As the P&Z, we’re requesting approval and feedback,” she said. The commissioners were all supportive of the study. “The perception will either be confirmed, or it will be better defined,” Commissioner Cliff Merz said. When it comes to parking in downtown Safety Harbor, the question of perception vs. reality is at the crux of the issue. 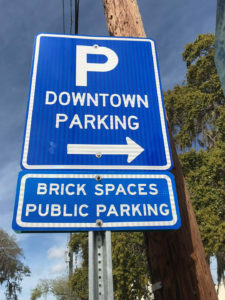 According to the city’s most recent downtown parking data, compiled last year, there are 427 on-street marked parking spaces (on Main Street, 2nd Avenue North and 2nd Street South); 182 off-street parking spaces (i.e. public parking lots including City Hall, Fire Station, Library, Museum, Rigsby Center); and 418 on-street unmarked parking spaces (on sides of the street where parking is permitted). The numbers reveal there is public parking in town. What officials hope to determine through the study is when is it being used, are people aware of where the spaces are (new signage was recently installed), and is there enough to accommodate the everyday as well as the special event crowds. “We’re hoping that the survey will help us to learn more about that,” City Manager Matt Spoor said after the meeting. After the meeting, Ayoub elaborated on the topic via email. “Most of the time, parking is not much of an issue in Safety Harbor,” he said. “However, when we have a spike of people coming to our downtown for special events, we want to make sure we do everything possible to make parking as convenient as possible, which is why we tasked our P&Z board to look into this and come up with some suggestions. Harborites, is there a parking problem in downtown Safety Harbor, or is a matter of perception overtaking reality? Let us know in the comments below or on our Facebook page! One item not mentioned about about Main Street parking is when we have events on Main Street you lose the parking spaces from Philippe Pkwy to sometimes 8th Ave. The adjoining spaces are taken by venders/event participants. This causes heavier parking on 2nd and 3rd St North and South. Which makes it extremely difficult for emergency vehicles to access those areas. I agree with comments made by Tammy. What is the net benefit of some of these events such as Third Friday? Do they help any? Not sure. It appears that the city and commission have approved a lot of events each weekend. Are they helping and who? I’d rather have a downtown that is usable from a resident perspective than a bunch of events. The music events are multiple, are they helping who is running them or are they helping our downtown. More events does not necessarily mean better. More analysis is needed. Parking should also not be created to support parking. Impossible to have a “small event” when it is on the internet and “Things To Do”, because ALL events everywhere are over-attended with this exposure. Parking needs attention. Third Friday’s inception was from wine and cheese at shop owners’ sales rooms—- to what it is today when the City took over its management and it became the jewel it is now. Downtown would not be charming without it because no shops or restaurants would survive, and downtown would be a morass of offices or vacant buildings. I do object to Safety Harbor’s public properties being rented to outside groups for events that do not benefit our own schools, charities or societies. Then Safety Harbor simply becomes a general ARENA venue that is available to anyone and for anything to make some money for them. We need to tread carefully with our precious downtown, and keep it under control, and we have to depend on our City to screen events to ensure that. 4 or 5 years ago I might have said nah, not too bad. But as the popularity of events grew and my back problem worsened, now I say yes. There’s a problem. For one thing, we drive around saying “uuhhh… is it ok to park here? I dunno, those people are so let’s try it.” I’m temporarily (hopefully) not able to walk very far, so I can’t ever walk from the available spots. I have to be rapidly hurled from the car as it slows down to 30 somewhere near the event, which is difficult as well. The benefit music fest last weekend was the worst for that issue. There was NOwhere to drop off a handicapped person, temporary or otherwise. A couple years ago when I was still feeling ok, I was going to stop at one of the antiques events, and I drove so far away to find parking that I was nearly home again so I didn’t even bother. There are a lot of spaces and parking lots where it remains unclear as to whether it’s ok to park. Yes there are general guidelines you’ve put forth, but it doesn’t cover a lot of the areas we encounter when we’re actually there looking. So now, when trying to decide if we’re going to an event, it’s “UGH I don’t feel like dealing with the parking.” My two cents. The numbers look good -1027 spaces. That’s reality. I am wondering, though, on any given day, how many of those spaces are empty. And how many of them are actually within a block or two of where someone actually is going. And where are most people going? Are the parking spaces close by or are they mostly at the less trafficked end of the street where the few parking lots are? Pretty much every time I go downtown, pretty much all of the parking spots on Main Street are filled. Rarely do I find a space near my destination. I pretty much always have to hoof it to where I am going. . .and after spending a considerable amount of time driving up and down streets to find a parking space. I have lived here since 1972 so, for me, it is not a matter of not knowing where to find parking. I know where they are. I just don’t know where the EMPTY spaces are. And, it isn’t because I am rarely downtown. I am downtown every day at least once a day – sometimes more often than that. You talk about the ‘walkability’ of Safety Harbor. It’s true, it is walkable… for the young and fit. I’ve lived in Safety Harbor over 40 years and have spent the better part of my life walking and riding my bike here. Now that I am in my early 70’s I feel like I am still in good shape, but it is rare when I can find a parking space within a few blocks of my actual destination as I used to be able to do when I first moved here. You may say, no big deal – WE are young and strong, so who cares? 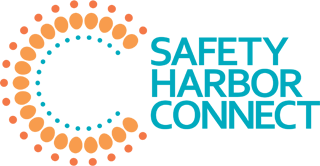 In checking the demographics of Safety Harbor population, nearly half of all homes here have at least one person who is over the age of 60. Out of 7,356 homes at the time of the study, 3,233 homes have an elderly person residing there. Please take our needs into consideration. The reality is that there are far fewer feasible parking spaces for a sizeable number of people than what your numbers indicate. It is not just our ‘perception.’ It’s REALITY that we need more parking spaces. Whenever there is an event you lose all the parking around the event. If it’s on main street you lose those spots. If it is at the marina/park you lose those. Then you have the vendors and their parking needs. By that time you lose ,I estimate, 1/3 of your spaces. And the on street parking spaces are also used by the people who live near by. Yes there are spots and usually enough for normal days but during any special event you are very short. Add to this the stated desire to improve the shopping/merchants in downtown Safety Harbor. If you want more customers and visitors then you really need more parking. 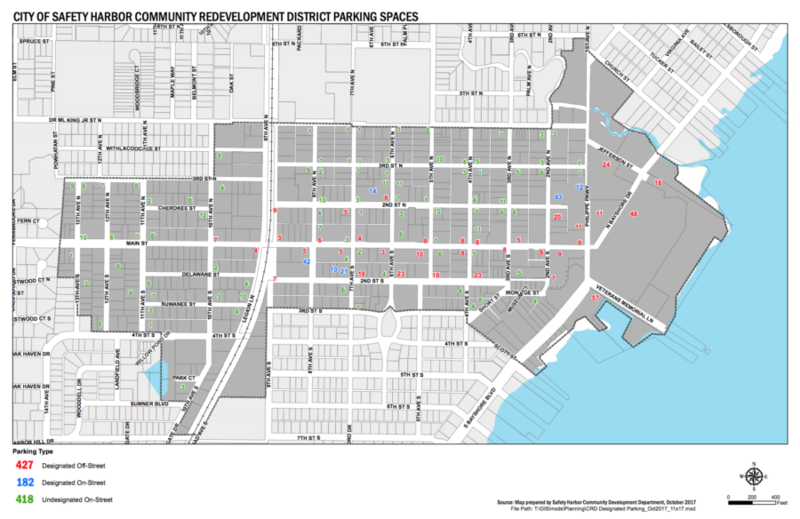 How many parking spaces are there in Dunedin or Oldsmar near their downtown’s? I bet there is 50% more. And they often have parking shortages during peak times. I would really like to see those numbers as compared to Safety Harbor. Consider the tipping point when there is so much added car storage (parking) that downtown no longer feels like a downtown and more like a suburban lifestyle center. That doesn’t need to be our future. This Harborite wants better for our unique and special downtown. 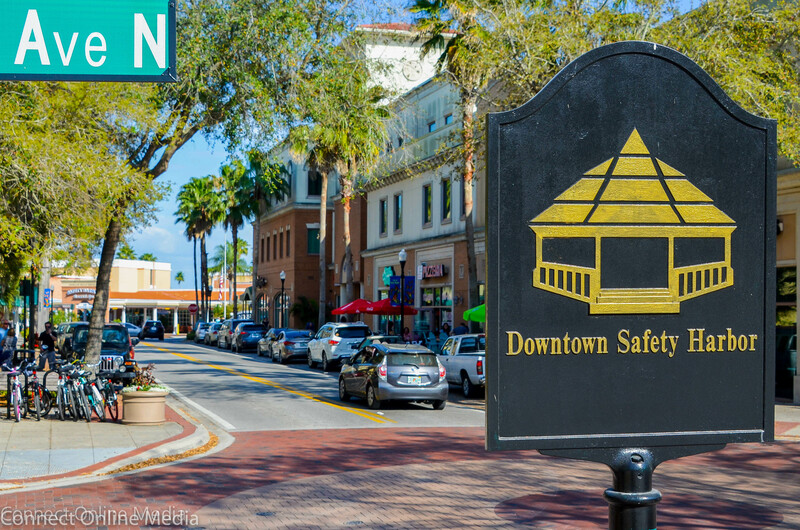 The demand and popularity to live in Safety Harbor continues on a steep upward trend and some of it may be due to exposure from city events. The popularity only matters if you plan on moving from Safety Harbor, in that your property value has gone up. What about a compromise? Have the events which help make Safty Harbor a vibrant place to live but on a smaller scale. Instead of having vendors and main street closed for almost it’s entire length, cut the size of the event in half, which could free up all of those parking spaces taken up by tents and the vendors. Another idea; have public parking on that long strip of grass at the waterfront park with electric shuttles up to downtown – charge a dollar to cover the cost of shuttles and drivers? During non-event days there seems to be plenty of parking downtown, except it does get tricky to find a spot in the evenings to go to dinner at the BarFly. SH is a wonderful vibrant community, I moved here four years ago because of the small town charm mixed with the great events every weekend. We only have parking issues when events happen and that can be mitigated with using the public school parking lots and shuttles to the events. SH needs to get creative about parking and use these underutilized spaces. Agree with utilizing school parking lots and shuttles for events. The city should consider requiring all event promoters to hire the Trolley or some other means of shuttle service. That is a win-win for everyone. On most days, Safety Harbor does not have a parking problem. It just has an events parking problem. Just because someone cannot find parking directly in front of a downtown business or restaurant does not mean we have a parking problem. Our downtown streets were laid out more than a century ago before everyone drove a car. Some walking is required to visit our downtown businesses and attractions. The issue to address here is the numerous events that we are having almost every weekend in downtown and at our waterfront park. Events are generally good for the city and our local businesses, but too many events may be creating more problems than benefits for our city. We will simply have to be creative for future events and have people park at parking lots outside the downtown area (like school parking lots) and have a shuttle that brings people back and forth to the events. I’m glad the city is doing the study. My perception, like many others, is that we only have parking issues during events. However, I still think we should look to the study data to show that perception is accurate. There is even a lot of variation in the parking and attendance of each of these categories, so data is needed for several instances of each of these to get a good picture of the parking situation. I agree that each event is different and has different levels of attendance. For some smaller events, the city may only open up one parking lot and shuttle people from that lot to the event. For larger events like the Wine Festival, we could shuttle people from two or three different parking lots. The city could put up signs when you are entering Safety Harbor that state which parking lots people are being shuttled from on that day. This would be the most inexpensive way to solve Safety Harbor’s parking problem during events. Better bike and pedestrian accommodations will leave more parking available for those who need it. Thanks to everyone thinking outside the box for solutions that are appropriate for our small town. Keep it charming Safety Harbor! Event organizers should be required to provide shuttle parking from bigger parking areas (city park, elementary school lot, middle school lot). If they don’t provide/funds necessary to provide, shouldn’t be allowed to have the event in downtown/waterfront park of SH. It’s part of their price to hold an event in our town. Will definitely see a better parking impact immediately. No paving of our downtown for event parking. I have read all of the comments regarding parking. Not one mentions how the slip renters are being grossly inconvenienced trying to get to their boats during events. Sure the City has provided 4 permitted spots for slip renters during events, but this is grossly inadequate when there can be 10-12 boat owners at the marina on weekends. Compare this ratio of 4 permitted spots to that of St. Pete and Dunedin marina. They both have over a 20% ratio. If you are interested, contact me. I have the numbers. Please remember we pay a monthly fee to be there and more often than not, event volunteers take up one or more of these spaces and violate the purpose of the permitted spaces. We have had incidents where volunteers have tried to block slip renters from entering the marina. The City tells us that they will have a list of boat owners and will check you in with your ID. Last weekend and this weekend there were two incidents where this did not happen. The city’s instructions to the event people are not being properly communicated to the event staff. This is a very long story that has been going on for several years now and slip renters are tired of it. 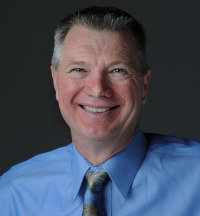 I have met with Joe Cooper (event coordinator for the City) and spoken to Stephanie Kerns (marina Administrator) with a simple solution for the slip renters that will ease the problem, but they now are ignoring my follow up e-mails. I am starting to believe some of my sailing friends that the City officials do not care. They only want the pretty sailboats as a backdrop for the City website and stationery. I have had enough. My boat is now for sale. I’m a business owner and resident, pushing 60 years old, and my feeling is, if I can find a spot within a few blocks of my destination, I can walk the rest of the way, which I usually do. So, no, I don’t think we have a problem. I only see parking problems during events. I live 3 blocks from Main St so I always can walk but I see plenty of spaces at all hours of the day during normal business hours. When I do drive and make a stop a5 the pos5 office or for breakfast on the way to somewhere distant parking spaces are easy to find usually on Main St. Parking in the brick paved spaces on 2nd are easy to get into and available for those who find parallel parking a challenge. The festivals and events have got to be a BIG boost for local restaurants, bars and merchants. So I think a cost benefit analysis would be a slam dunk positive to continue these very successful endeavors. Safety Harbor has become a destination for the residents of surrounding communities attracting dollars that are spent here with very little incremental cost to the Harbor. All those good restaurants and bars downtown would not be there if they could not get the exposure that the events, through word of mouth, affords them. We that are lucky enough to live here benefit all year from this. I for one can put up with having to shoo people away from our condo parking and navigating streets with cars parked on both sides of the street to keep a vibrant and prosperous downtown. Solution. There are more creative ways of solving the temporary bottlenecks . Those have been suggested. I have one more.Suspend the two away zones 6:00p.m. To 10:30p.m. In Friday and Saturday event nights. I am sure There are a few more available.PUT ON YOUR THINKING CAPS. Be careful and note that Dunedin made disastrous decisions about parking and I no longer go there even though they have reversed their bad decisions. Good to have a plan but have a very thoughtful one! I suppose it depends on your definition of a parking problem. If you feel you must be able to park one to three streets away from an event, we have a parking problem. If you do not mind walking 4 to 6 streets to an event, no we do not ave a parking problem. All I know is that whenever there’s an event downtown I can expect a LONG walk from where I parked to where I’m going. On the Fourth of July my family has to fight for a “spot” (i.e. an opening in the road verge big enough to fit a car) at the middle school because that’s as close as you’re going to get after 6 p.m. That’s more than half a mile of carrying chairs and bags just to reach the event area. At Third Friday, we invariably have to walk through several unlit, eerily quiet blocks of houses -many of which look abandoned- to reach whatever small business’s small parking lot we had to park in. It’s basically the same story for every event, and those events happen seemingly every weekend and holiday. The reality is Safety Harbor needs a large parking garage downtown, and it needs to be accessible at all times, unlike most of the existing parking downtown which becomes inaccessible when it’s needed the most.